Steiner Ranch Neighborhood Association. Representing Everyone in "The Land Between the Lakes"
Browse: Home / MU-14: Duplexes or Community Owned? MU-14: Duplexes or Community Owned? The WCID 17 Board rejected the petition to hold a bond election and/or further pursue approval for such an election. The decision was made despite overwhelming support shown by the Steiner Ranch Community as shown in the survey conducted by SRNA and publicized in the Four Points News. See Four Points News on the rejection of our proposal here. They survey also showed a wide range of interest in potential uses for the area. SRNA continues to explore options for MU-14 to be purchased. Once Steiner Ranch is community controlled it may be possible for the HOA to pursue a direct purchase of the land. MU-14 is an ~80 acre property located at the SE corner of RM 620 and Quinlan Park Rd. Current plans for MU-14 call for development of 150+ multi-bedroom duplexes. Residents have the possibility of purchasing MU-14 from the current owner instead. All MU-14 residential traffic will need to flow through the RM 620 / Quinlan Park Rd. intersection – NO left turn onto Quinlan Park Rd. will be allowed going south. Unnatural traffic patterns will result. Traffic from MU-14 including morning traffic to schools will need to go out on RM 620 and then must turn around or go around Steiner Ranch Blvd. to re-enter the neighborhood. MU-14 is the last significant parcel on which the community might build additional amenities including park-spaces. MU-14 is at the “front door” of Steiner Ranch – its use will have a dramatic affect on the look and feel of the area. After a strong petition last fall and winter from SRNA and residents, the developer, Taylor-Morrison, and current owner of MU-14 have agreed to give residents an opportunity to purchase the land. SRNA is planning a community meeting which will address questions on this important issue in the coming months. Following are additional details of what a purchase would entail. The tentative price point for the land is $6.5 million dollars and includes the ~80 acre property, with ~40 acres developable (non-preserve) and ~15 acres of impervious cover. Additional costs for the bond measure would depend on the scope of improvements such as adding an access road, parking and any park or ball-fields the community would choose; early estimates are approximately $1-1.5 million additional for a total of $7.5-8 million. 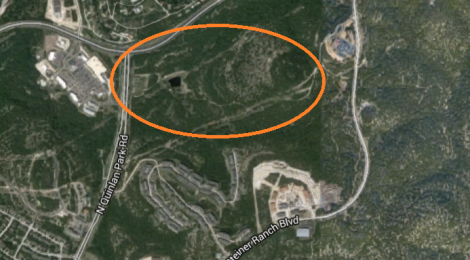 The reason for the relatively high cost of the land is because it includes impervious cover credits – those are the rights to develop land pursuant to the Steiner Ranch Development Agreement with the city of Austin. By purchasing these credits the community is owning the rights to develop further in Steiner Ranch and those credits will not be spent on the building of the duplexes currently planned for the site. Purchase could be done by WCID 17 (Water Control and Improvement District 17). This would involve the district selling bonds and charging back a tax to pay off the bonds by the Steiner Ranch Defined Area. For a total estimated bond amount of $8 million, which includes estimated parks construction, the estimated cost per household is in the range of $0.025 to $0.03 per hundred dollars of valuation per year. It is important to note that WCID 17 total tax rates are already declining so this additional tax will be hidden in total tax rate changes in coming years. This includes a reduction for 2015 and another planned reduction for 2017 of an estimates $0.05 per hundred dollars of valuation. In summary, the additional tax for purchasing MU-14 would be offset by planned tax reductions if done via WCID 17. A bond measure through WCID 17 has a number of additional advantages including low interest rate bonds, and that property taxes are typically deductible on income taxes. An alternative to a WCID 17 bond measure might be a special assessment by the HOA’s; where the HOA’s would take out a non-traditional loan. This has a unique set of challenges but may be possible if we cannot secure cooperation with WCID 17. WCID 17 is not yet convinced of the community’s interest in the purchase, per concerns expressed at a recent Board meeting. Although WCID 17 Board Members had shown sustained support of this bond measure option for Steiner Ranch residents – they have now expressed some reservations in light of delays with the State Attorney General. One of the principal pending reservations is whether the community will support the purchase. This is because there are significant costs associated with pursuing this option leading up to a bond election. We need your input to help answer this question – with a strong show of support we can revisit this option with WCID 17 (take survey here!). The primary source of stalled support from WCID 17 at this time was a lack of a crisp, timely response from the Texas Attorney General’s office on the legality of the bond sale for parkland for Steiner Ranch Defined Area. Texas Water code clearly gives WCID 17 both the authority to build parks and the authority to have a defined taxing area (e.g. Steiner Ranch Defined Area), but the AG’s office did not offer an opinion on the legality of combining these two authorities. Research by SRNA Board members with various bond counsels in Texas has not found any legal problems with this option. The fact that the AG’s office was setting up a new staff and coming on-line coincident with these inquiries may have played a significant role in the delayed and ambiguous responses to WCID 17. We will need an affirmative AG response on this issue if we are to move forward with WCID 17 as originally planned. Otherwise we would need to find an alternative means of financing the purchase of the land. (2) it is the policy of the state and the purpose of this subchapter to encourage persons in districts to provide parks and recreational facilities for their use and benefit. ‍Although our community has previously discounted assessment driven improvements such as improvements to our existing facilities. This option to purchase MU-14 is substantially different in scale and impact to property values. At the May 28, 2014 SRNA Annual meeting, we presented this MU-14 purchase concept. At that time we did not yet have developer support but we knew we were running out of time to affect change so wanted to bring up the issue to the community. ‍1. Duplexes on MU-14 is a good fit for our community? Take the survey to give your input HERE. Steiner Ranch Neighborhood Association shared a link. More about the RM 2222/RM 620 Bypass projects can be found online at: www.txdot.gov/inside-txdot/projects/studies/austin/rm620/rm-620-rm-2222.html. The intersection of RM 620 and RM 2222 in northern Travis County experiences significant congestion. In order to help address mobility and safety concerns, TxDOT is working on the RM 620/RM 2222 bypass road project. Reminder: Monthly SRNA Board Meeting this evening at Bella Mar, 7pm. Travis County has scheduled an open house for April 18, 2019 at CRMS 6-8pm to present evacuation improvement options in Steiner Ranch. The open house is expected to finally present all the information requested by our community including a traffic study for Route F.